IN THE LAST PICTURE PART MARKED AS No.7. Part number. Part number - 8J79597275PR 8J7959727 5PR. Fits: MK2 TT. Forge motorsport. Satin Black with rubber outer. Air Lift Performance. Choosing the right Air Lift Kit. Milltek Classic. Of course it could be cancelled if after the conversation, it turns out not to be a suitable part/product for you. TO FIT AUDI TT 8N (COUPE & CONVERTIBLE) MODELS FROM 1998 - 2006. GENUINE AUDI PART. PART NUMBER: 8N0 819 681C. We choose our suppliers carefully to make sure that our OE quality switches are as close to the original product as possible. TT MK2 8J - (2007-2014). A4 B7 Saloon & Avant - (2005 to 2007). S4 B7 Saloon & Avant - (2005 to 2007). 2008 MK2 Audi TT GEAR LEVER KNOB. Colour - Black. Material - Leather. 6 Speed. There is some deep scratches on the aluminium trim also some age related marks (see images) Please make sure part is correct before purchasing. We try to describe our parts as honestly as we can, however please also see our images in case we have missed anything. Any questions please ask. International buyers please contact us for price and availability of postage to your location. Removed from below vehicle -. GENUINE AUDI PART REMOVED FROM AUDI TT MK2. GOOD CONDITION PERFECT WORKING. A2 [2000-2005]. A3 8L [1997-2003]. TT MK1 8N [1998-2006]. 12 month warranty as standard. TT 2007-2014 [8J]. TT Rs 2010-2014 [8J]. Genuine Audi Parts. Vehicle: Audi. If your old Handle is a 8J2823533B, you may also require the bracket. TO FIT AUDI TT 8J MK2 (COUPE & CONVERTIBLE) PRE-FACELIFT MODELS FROM 2006 - 2010. GENUINE AUDI PART. IN USED CONDITION AND FULL WORKING ORDER. PART NUMBER: 8J2962108 / 8J2962108A. TO FIT AUDI TT 8J MK2 (COUPE & CONVERTIBLE) MODELS FROM 2006 - 2014. GENUINE AUDI PART. IN GOOD USED CONDITION AND FULL WORKING ORDER. MODEL: TT COUPE MK1. MAKE: AUDI. COLOUR: BLUE MORO BLAU CODE : LZ5J. THAT IS CORRECT PART FOR YOUR CAR! ON THEM IN FORM OF SCRATCHES. ALWAYS COMPARE PART NUMBER. TO CHECK IF. GOOD WORKING ORDER. Audi TT MK2 3.2 TTS RS New Cigarette Lighter Interior 12v Power New Genuine OEM Audi Part 8J0919303. The cigarette lighter is a common one for failure on the TT MK2, ac/stereo has to be removed to gain access to retaining ashtray bolts, to then swap out the 12v power/lighter, but none the less once renewed it will work, which of course is useful. TT 8N MK1 (1996 - 2006). Match part number 4F0959565A. We choose our suppliers carefully to make sure that our OE quality switches are as close to the original product as possible. Replaces part number 4F0959565A. This is for the 4 Pin connecting plug switch. $AUDI TT Mk1 8N 2003 Roadster Roof Release Solenoid 8N7862159 AUDI TT Mk1 8N 2003 Roadster Roof Release Solenoid PART NUMBER - 8N7862159 REMOVED FROM 2003 1.8T ROADSTER WE SUPPLY PREMIUM QUALITY GENUINE USED AUDI PARTSWe maintain a clean and safe environment and are fully licensed and regulated by the Environment Agency. Audi parts available off the shelf, and because they are all genuine parts, quality and correct fitment is always guaranteed. Please do not hesitate to email or call us if you have any inquiries Contact numbers- 07807118497 or 07581379600 Please be aware that all items may have usage marks on them in the form of scratches as they are not brand new GLASS AND BODY PANELS WE PREFER LOCAL COLLECTION DUE FRAGILE NATURE BUT WILL POST HOWEVER IT IS DONE SO AT BUYERS RISK. Match part number 8E0959565A. We choose our suppliers carefully to make sure that our OE quality switches are as close to the original product as possible. Replaces part number 8E0959565A. This is for the 4 Pin connecting plug with the ability to fold the mirrors only. $AUDI TT Mk1 8N 2003 Roadster Roof Release Solenoid 8N7862159A AUDI TT Mk1 8N 2003 Roadster Roof Release Solenoid PART NUMBER - 8N7862159A REMOVED FROM 2003 1.8T ROADSTER WE SUPPLY PREMIUM QUALITY GENUINE USED AUDI PARTSWe maintain a clean and safe environment and are fully licensed and regulated by the Environment Agency. Audi parts available off the shelf, and because they are all genuine parts, quality and correct fitment is always guaranteed. Please do not hesitate to email or call us if you have any inquiries Contact numbers- 07807118497 or 07581379600 Please be aware that all items may have usage marks on them in the form of scratches as they are not brand new GLASS AND BODY PANELS WE PREFER LOCAL COLLECTION DUE FRAGILE NATURE BUT WILL POST HOWEVER IT IS DONE SO AT BUYERS RISK. 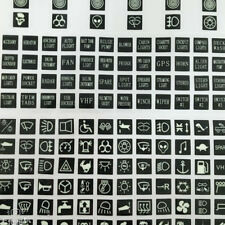 Reference OE/OEM Number: 4FD959565A / 4FD 959 565A / 4FD 959 565 A / 4F0 959 565 / 4F0959565. Audi Q7 2007-2012. Audi R8 2008-2012. Audi A6 2006-2010. Audi S6 2007-2010. Audi TT 2008-2009. Audi S4 2001-2007. Fits: Audi TT mk1 1998-2006 225. Car: Audi TT 225 Quattro 2002. Paint code: Denim blue LZ5. We are a car dismantling facility based in west wales not far from the coastal town of Newquay. We are here to help ! GENUINE AUDI TT MK2 8J DASHBOARD SUNLIGHT SENSOR. AUDI TT MK 8J. 1 x Dashboard Sunlight sensor. COUPE, 2007, RIGHT HAND DRIVE. FRONT WHEEL DRIVE. VEHICLE THIS ITEM WAS REMOVED FROM THIS IS THE EXACT ITEM YOU SHALL RECEIVE. AUDI TT Mk2 8J 2008. INDICATOR STALK SWITCH. AUDI TT COUPE 2008. Audi parts available off the shelf. PART NUMBER -. OS is offside, right, or drivers side in the UK. An item that has been previously used. 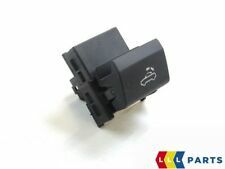 GENUINE AUDI TT MK2 8J DRIVERS SIDE WINDOW SWITCHES, RHD. AUDI TT MK 8J. 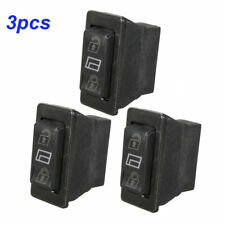 1 x DOUBLE ELECTRIC WINDOWS SWITCH, 8J2 959 522. COUPE, 2007, RIGHT HAND DRIVE. FRONT WHEEL DRIVE. MAY NOT include Northern Ireland, Scottish Highlands and off-shore islands. NS is Nearside, Left, or the passenger side in the UK. AUDI TT MK2 07-10. AUDI TT MK2 2007. 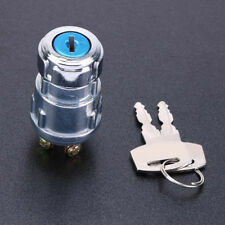 RHD / FRONT DRIVER DOOR LOCKING SWITCH BUTTON. We won’t take any responsibility for the compatibility of parts unless we have explicitly said it will fit. Manufacture Part Number 8N0819681C. Note - TT 8N MK1 (1996 - 2006). Audi Breakers. All engines & gearboxes will usually be drained of all fluids for carriage. 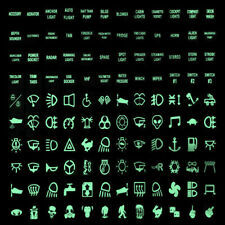 FOR YEARS: 2006, 2007, 2008, 2009, 2010, 2011, 2012 (2007). Add to Favourites. Gasket and seals need to be replaced before installation. PART NUMBER: 8L0953513G, 4B0953503G. 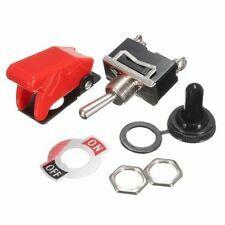 AUDI TT MK1 1.8T QUATTRO 1998-2006 WIPER & INDICATOR STALK SWITCH. MODEL: TT MK1 8N9 1.8T QUATTRO. COLOUR:BRILLIANT BLACK CODE: LY9B. GEARBOX: 6 SPEED MANUAL CODE:FHB. A UDI TT MK2 8J 2007-2010. FOR SALE IS NEW GENUINE CENTER CONSOLE MULTIPLE SWITCH TO FIT. 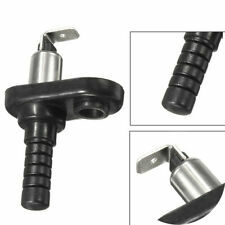 VW Golf MK4 GTI R32 Brake Pedal to Servo Master Cylinder Clip. VW Golf MK4 (1997-2006), VW Beetle (2006-2010), VW Bora (1999-2005), VW Jetta (2001-20015), VW Lupo (1999-2006), VW Passat (2003-2005), VW Phaeton (2002-2009), VW Polo (2002-2008), VW Sharan (2003-2008), VW Touran (2003-2005), VW Transporter (2003-2006). TO FIT: AUDI TT 8J MK2 (COUPE & CONVERTIBLE) PRE-FACELIFT MODELS FROM 2006 - 2010. GENUINE AUDI PART. PART NUMBER: 8P0 953 519 C. IN GOOD USED CONDITION AND FULL WORKING ORDER. TT 8N [1999-2006]. A6 4B [1999-2006]. A2 8Z [1996-2010]. 12 month warranty as standard. Imported direct from Germany. PART NUMBER: 8P0953519G. TO FIT AUDI TT 8J MK2 (COUPE & CONVERTIBLE) PRE-FACELIFT MODELS FROM 2006 - 2010. GENUINE AUDI PART. IN GOOD USED CONDITION AND FULL WORKING ORDER. GENUINE AUDI TT MK1 8N (1996 - 2006 ). ESP BUTTON SWITCH. MORE PARTS FROM AUDI TT 1.8 TURBO 225 QUATTRO. WILL BE LISTED SOON CURRENTLY BREAKING. AUDI PART : 8N0 927 134. GENUINE PART. CHECK REAL PICTURE.